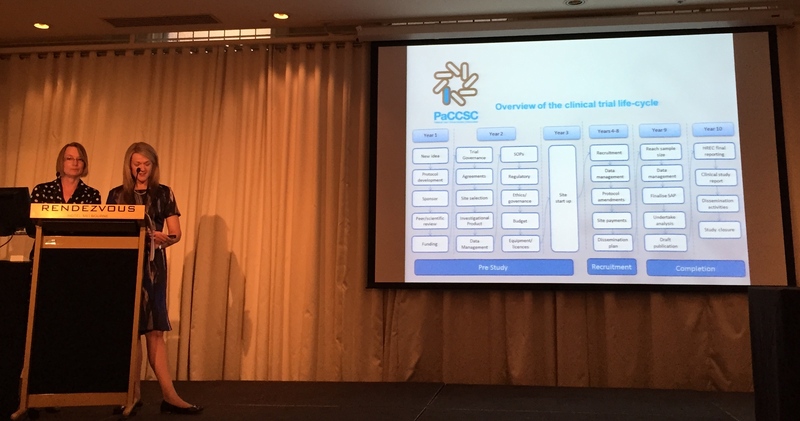 For the third year in a row, the Australian Palliative Care Research Colloquium was held at the Rendezvous Grand Hotel in Melbourne on October 22-23. 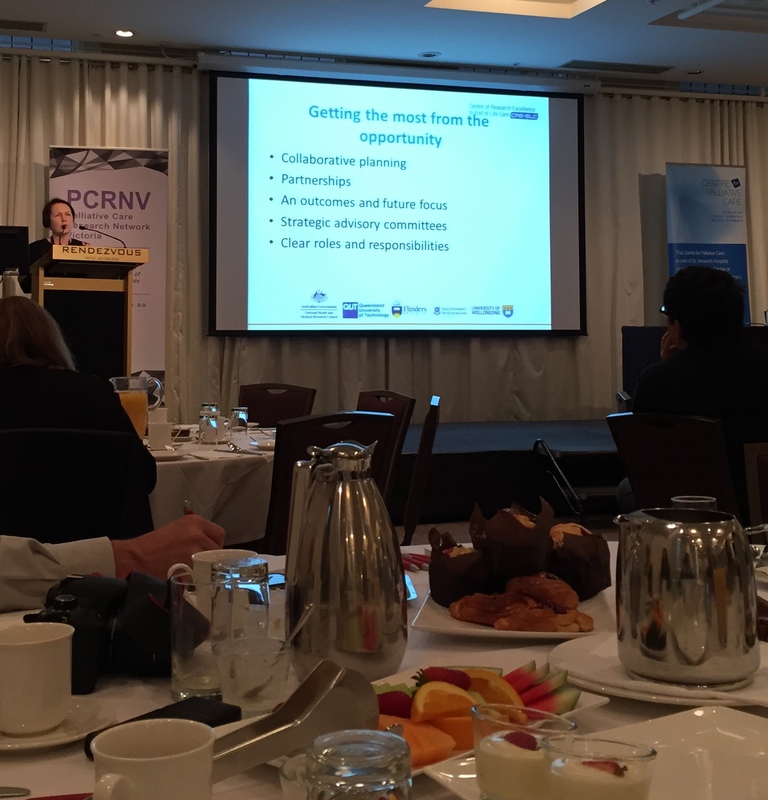 The meeting was once again preceded by a breakfast forum hosted by Palliative Care Research Network Victoria (PCRNV), which served as a tempting entrée to the two-day main course of fantastic presentations and workshops exploring a diverse range of topics pertaining to palliative care research. Conversations about research continued over tea and meal breaks, next to quality poster presentations, and during the convivial conference dinner on the banks of the Yarra. The breakfast forum featured Prof Patsy Yates, who reflected on her experiences from setting up a National Health and Medical Research Council (NHMRC) Centre of Research Excellence in End of Life care; plus Belinda Fazekas, A/Prof Clare O’Callaghan and Prof Samar Aoun, who shared their insights into recruitment and retention during quantitative, qualitative and family carer research studies. The opening plenary of the colloquium was delivered by Prof Philip Larkin, the new president of the European Association for Palliative Care, who made a strong and entertaining case for collaboration in palliative care research. This was followed by a rollercoaster hour with Allison Drosdowsky and Karla Gough, who managed to lead us through (and out of) the jungle of statistics before lunch. We then changed tack with Prof Alex Broom, who offered an introspective session on the nature of qualitative research; then again with Anne McKenzie, who espoused the importance of consumer participation in palliative care studies during an engaging workshop. Day two began with a double act: Linda Devilee and Belinda Fazekas took us along their ten-year journey of multi-site trial pain and glory. Prof Aoun and A/Prof O’Callaghan then returned with A/Prof Meera Agar to examine the many ethical dilemmas of palliative care research, such as gatekeeping, informed consent and disseminating results. Prof Liz Halcomb stimulated a lot of discussion during her rapid-fire presentation on mixed-methods research, which led nicely into the final session on innovative methodologies such as systems theory (Michael Chapman), program logic and theory of change (Deb Parker), and video reflexive ethnography (Aileen Collier). Congratulations to the conference organisers from the Centre for Palliative Care for organising another wonderful program this year. 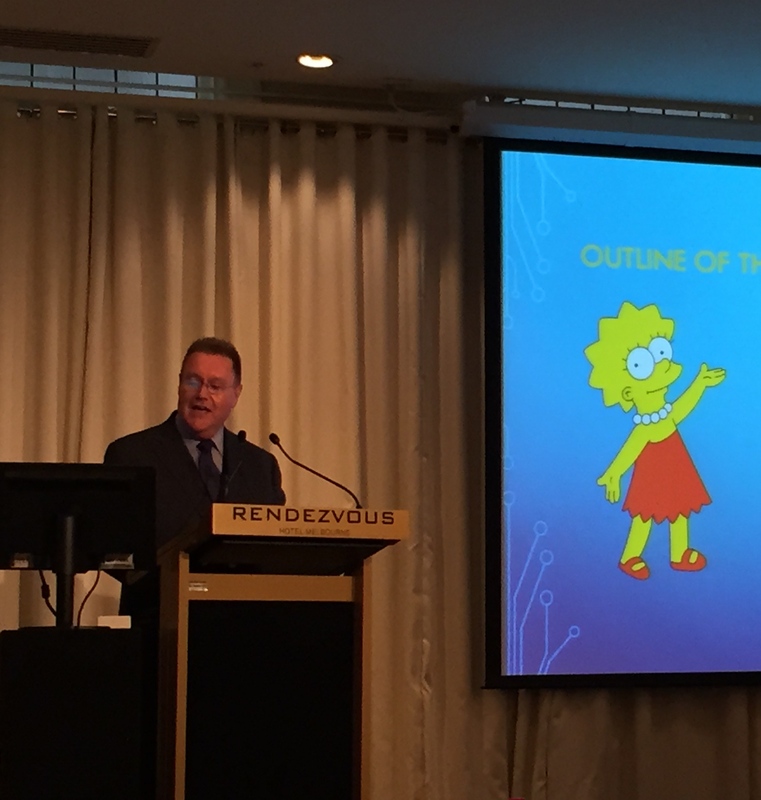 Congratulations also to Peter Eastman for winning the Colloquium Quiz by coining a new collective noun – I certainly look forward to returning next year as part of a “Temel” of palliative care researchers! For more ideas, references and reflections from the Colloquium, search for #APCRC15 on Twitter. 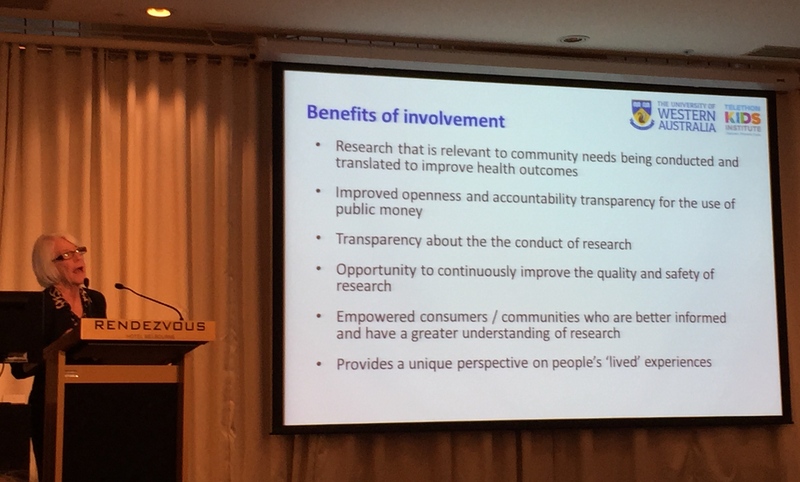 This entry was posted in conferences, Education, Ethics, Ideas, People, research and tagged #APCRC15, Australia, conference, education, Palliative Care, research by Chi. Bookmark the permalink.